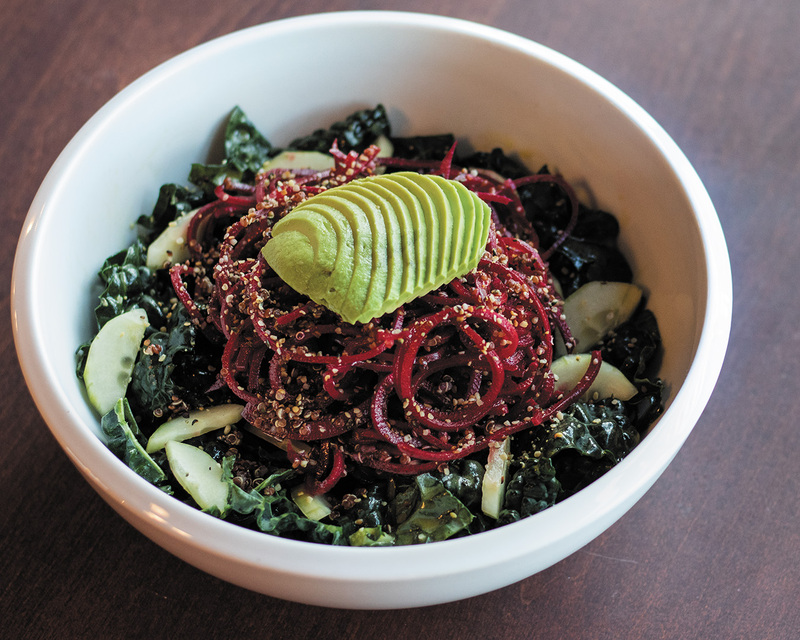 Husband-and-wife team Mike and Ammy Lowney are bringing their love of clean eating to Jamaica Plain as they prepare to open Juicygreens Cafe in April. Mike, a practicing physician in Hyde Park, and Ammy, a former Boston Public School teacher, noticed a lack of nutritious dining options in both of their respective fields and tapped their backgrounds to create a line of fresh-pressed juices that they are now expanding to a brick-and-mortar location that goes far beyond just juice. Juicygreens will serve breakfast, lunch and dinner with special brunch items on weekends. 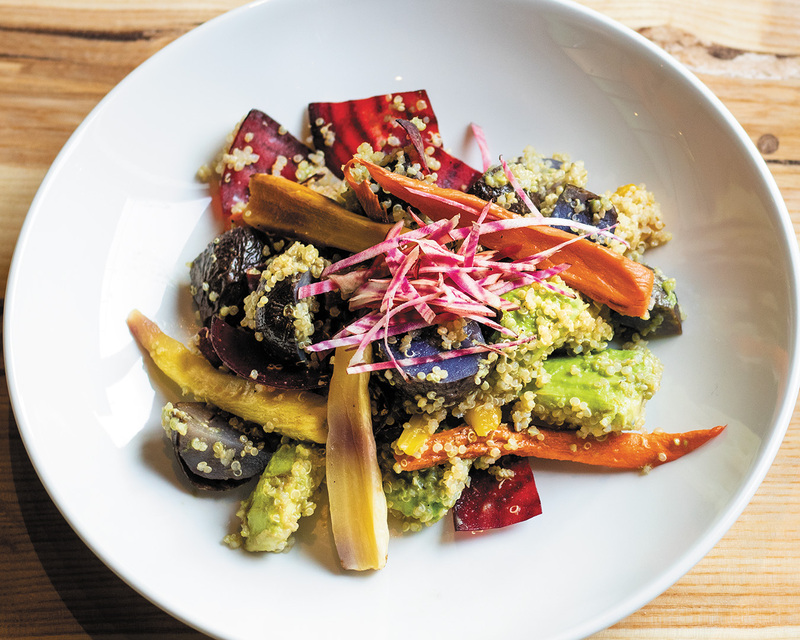 The menu includes cold-pressed juices such as the Daily Fix made with beets, red apple, ginger and lemon as well as bowls like the Hearty Quinoa Bowl made with organic quinoa, beets, roasted sweet potatoes and Brussels sprouts, spicy pumpkin seeds, pickled onions and a choice of housemade dressings. Other menu sections will focus on immune-boosting juice shots, sweet and savory toasts and acai and pitaya bowls. The brunch menu will include vegan and gluten-free options such as waffles served with vegan butter and fresh fruit, and a housemade breakfast cookie to accompany an array of coffee drinks made with beans from local roasters. Ammy drew inspiration from juice bars in California and New York when designing the 20-seat interior, located in part of the space previously occupied by the old Harvest Co-op. Utilizing natural light, the duo decorated the cafe with Spanish tiles, greenery and lots of wood to make it feel “like walking onto a porch or deck,” Ammy says. The space even includes a kids’ corner with miniature tables and chairs—and outdoor benches for the warmer weather.